The first to begin to address the flock of Christ with a word of teaching and instruction from the ambo—this elevated place in the church for readers—was St. John Chrysostom. Before him, that is, until the end of the fourth century, archpastors and pastors preached from the High Place in the altar, which was arranged like the steps of an amphitheater and was quite high, so that someone sitting on it was visible to those praying in the church; furthermore, the altar barrier was low. Elderly and sick clergymen had the great trouble of ascending the High Place after singing the Trisagion Hymn, and even now the order of the Divine Liturgy preserves the blessing of the High Place—the asking of the Lord for strength and help to ascend it. Today, from this ambo—a rare element in the decoration of modern Orthodox churches in our Fatherland, but from the ancient sacred Tradition—with gratitude and warmth we remember those who often ascended the ambos and High Places to preach, for the defense and preservation of the true faith of Christ—we remember the fathers of the first Six Ecumenical Councils. We ask: What did so many people labor for; why did they occupy themselves with these difficult works that avert from necessary demands? After all, there is Holy Scripture, in which we find the words of Christ the Savior that guide us in our lives, awaiting salvation and the inheritance of eternal blessings. For what—to show their intelligence and eloquence? For vanity and pride? No! It is not for glory and not out of idleness that the fathers of the Ecumenical Councils, whom we remember, labored. “Only the wickedness of the heretics compels us to speak of that of which it would be better to remain silent,” said one of them—St. Hilary of Poitiers. Now I beseech you, brethren, mark them which cause divisions and offences contrary to the doctrine which ye have learned; and avoid them. For they that are such serve not our Lord Jesus Christ, but their own belly; and by good words and fair speeches deceive the hearts of the simple (Rom. 16:17-18)—with such words the apostle Paul warns the Roman Christians of the first century. But how often we forget them and succumb to temptation, including the temptation of flattering false doctrines and lies. “Men do not gather figs from thistles” (cf. Mt. 7:16), and nothing good and kind can grow from an impure heart. If we look at the difficult, discordant period in the Church’s life known as the age of the Ecumenical Councils, then we will see that heresy usually arises as the fruit of a proud heart and an arrogant mind. The strict ascetic and famous spiritual father, who had more than 200 spiritual daughters alone, the presbyter Arius of Alexandria set himself the task of uniting Christianity and paganism. Raving like a madman that the second Hypostasis of the All-Holy Trinity—Christ the Savior—was created by God the Father, he wasn’t so much trying to seduce the as yet fragile minds of Christians who had only recently converted from paganism, but on the contrary, his desire was in fact good—to facilitate pagans’ understanding of the faith of Christ. As Geb and Nut give birth to the good Osiris, as Apollo comes from Zeus and Leto, so, according to Arius, God the Father creates God the Son. This terrible corruption of the teaching about the All-Holy Trinity and about the pre-eternal existence of each of its Three Persons should have been, in this presbyter-heresiarch’s opinion, the most effective missionary technique, but it was a self-willed trampling of the Pre-Eternal Truth and a blasphemy. Nestorius, the archbishop of the capital city of the great empire, Constantinople, a native of the remote Syrian city of Caesarea of Germanicus on the Euphrates, a man of unknown origin, small of stature, with large expressive eyes and light red hair, was possessed by great vanity and pride. Could any one of us, disciples of Christ, address the authorities as Nestorius addressed the emperor: “Give me the land cleansed from heresies and I will give you Heaven for it; help me overcome the heretics, and I will help you in the fight with your earthly enemies?” We hope on God’s mercy for ourselves and don’t even dare to think it’s within our power to give Heaven to anyone. 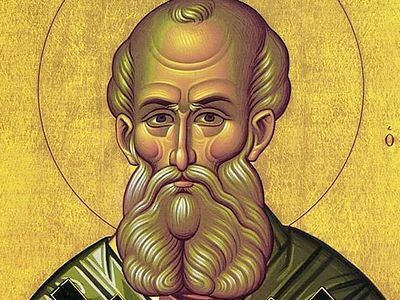 If Arius saw himself as a great preacher and missionary, then Nestorius took upon himself the responsibility of the most zealous fight with evil teachings and heresies. In the end, he himself became the founder of a heresy, denying the Divine essence of the Lord Jesus Christ. The desire for absolute power and predominance over others, namely to be the first among all the eastern bishops, prompted the Archbishop of Alexandria Dioscorus to support the heresy of Archimandrite Eutyches, denying the human nature in the Lord Jesus Christ. Bearing the title of the Thirteenth Apostle and Judge of the Universe, he went to the city of Ephesus for the proceedings about the evil teaching of the Monophysites, but instead condemned the righteous St. Flavian of Constantinople at a robber council. Seeing that he was losing the struggle for power, he broke communion not only with the Universal Church as an institution, but with the true faith, and led nearly all of Egypt and Syria into heresy. 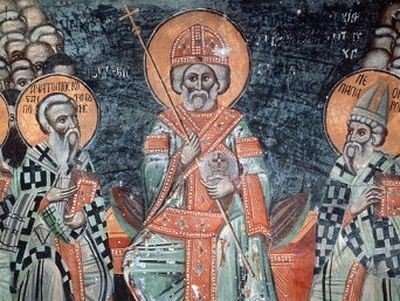 Patriarchs Sergius of Constantinople, Cyrus of Alexandria, and Pope Honorius, cowardly and afraid to contradict the emperor, and justifying their cowardice and servility with the high purpose of service to the Fatherland and people, torn apart by Monophysitism and Nestorianism, began to falsely teach about the Savior having one will. But their heretical compromise brought no benefit, and their memories perished with a bang. We believe, dear brothers and sisters, that there is only one holy, catholic, and apostolic Church, and its body cannot be dissected and cease to live. Heretics and schismatics are like infected members who have fallen from this Body and are in a state of spiritual death, without violating the unity and integrity of the holy Church. Let’s looks around and see what is happening now with these ancient heresies. A third of Alexandria and Egypt once sang the “Thalia” of Arius, and the barbarian tribes of the Goths, Vandals, and Burgundians were Arians. The diocese of the Nestorian Church of the East stretched from Mesopotamia to China; and the Monophysite Churches of Syria, Egypt, Armenia, and Ethiopia long ago lost the interest and capacity for theological polemics in defense of the doctrine of Eutyches and Dioscorus and became only closed national Churches for Christian peoples surrounded by the hostile Muslim world. We know that evil men and seducers shall always wax worse and worse, deceiving, and being deceived (2 Tim. 3:13), and, as long as sin lives in people, new heresies will appear. But they shall proceed no further: for their folly shall be manifest unto all men (2 Tim. 3:9), the apostle Paul says, comforting us. He is echoed by St. Gregory the Theologian: “There’s no problem if the heretics warm up and in the spring dare to crawl out of their holes… I well know that there will be a buzz for a while, then they’ll hide, deposed by truth and time; and the more we give everything to God with great hope, the sooner this will happen. And so, dear brothers and sisters, we present everything to God, and He Himself will utterly destroy with truth and time all the madness of those who doubt in faith in Christ. We will refrain, even under a plausible pretext, from pouring sinful oil on the fire of our anger, irritation, condemnation, and slander, which first burns against deluded heretics, and then scorches those around us, and in the end will turn into the eternal fire of the flames of Hell for us. Instead of unnecessary fights with heretics (and remember that, a heretic, after the first and second admonition reject—Titus 3:10), let us labor over the teaching of the true faith and the history of the holy Church, that the names of Sts. Athanasius the Great, Cyril of Alexandria, Gregory the Theologian, Maximus the Confessor, Mina of Constantinople, and the other fathers of the six Ecumenical Councils would become near and dear for us. Alcuuin of York (735-804), an English scholar, clergyman, poet and teacher from York, Northumbria.—Trans. Why Should We Not Doubt the Church? Fr. Roman Savchuk Why Should We Not Doubt the Church? It is hard to imagine, but there was a time when St. Athanasius the Great alone, hiding from persecution in the Egyptian desert with St. Anthony, maintained the truth of the “consubstantiality” of the Holy Trinity. 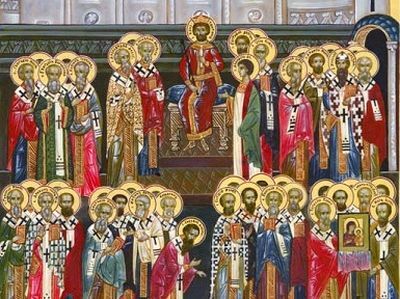 Are Ecumenical Councils Infallible? Fr. John Whiteford Are Ecumenical Councils Infallible? For us, the ecumenical councils are, generally speaking, occasions for defining the faith, clarifying it, refuting every strange teaching and thus every strange way of life. For us, we receive the faith from those who preceded us and we pass it on to those who follow us.